A Revolution in Speaker Technology. 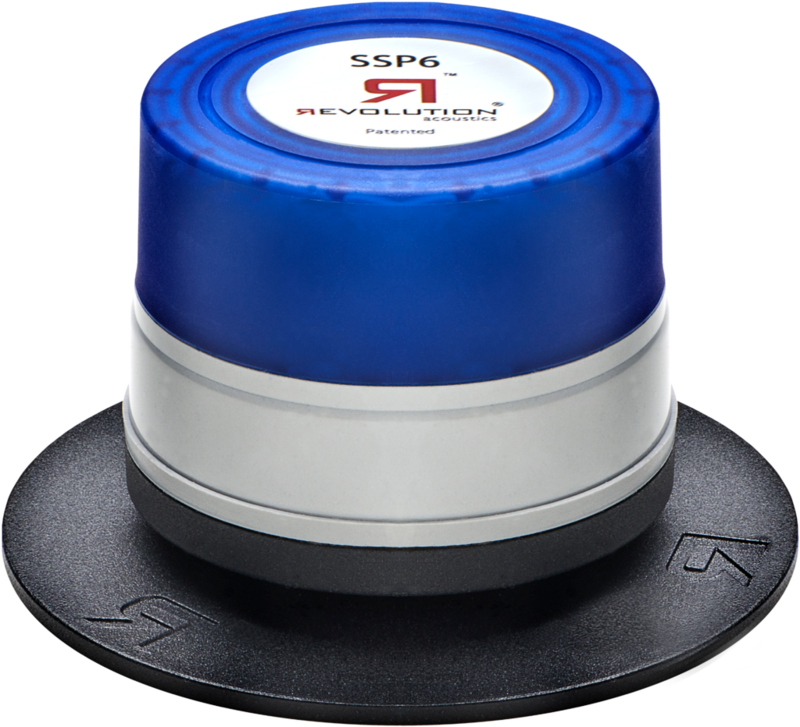 The patented SSP6 Multiducer™ (Multifunctional Transducer) brings a revolution to not only invisible audio, but all kinds of installed speaker applications. Its sheer performance with high fidelity audio, high power handling and constant SPL throughout a listening space mean it’s the perfect speaker for sound masking, conference rooms, retail, restaurant, hospitality, house of worship, transportation and other commercial uses; its performance combined with fully invisible installation make it ideal for high end residential use. SSP6 Multiducers install directly onto a surface and installation is accomplished in a matter of minutes. The secret to our ultra-fast installation is the RevLoc™ mounting plate. This plate is adhered to the surface (see the SSP6 Installation Guide for more information) and the SSP6 is screwed into place on the RevLoc. It’s that easy! No tools are needed. The SSP6 is UL certified for use in plenum spaces and IP66 rated for extreme weather and marine applications. The Revolutionary Choice for Sound Masking. Because coverage is so broad and even, a single SSP6 unit can take the place of up to 9 “emitters” traditionally used in sound masking applications – saving money not only in equipment costs, but in labor and wiring. Combine it in 70V mode with our revolutionary RevNet 2140 amplifier, which incorporates a customizable sound masking generator, and you can install a comprehensive sound masking system for at a surprisingly low cost. Read more about how to use the SSP6 in sound masking. Weight (Individual): 0.68 Kg / 1.5 Lbs. Package weight: 1.55 Kg / 3.5 Lbs.